Features Finger Vibrations or Electro Stimulation, 6 Pulsation & 10 Vibration Intensity Levels. 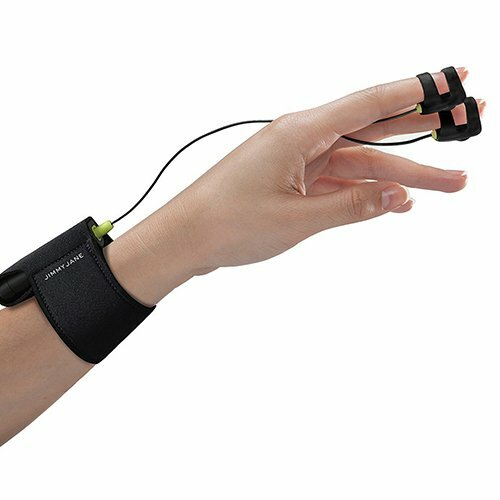 Put pleasure at your fingertips (literally) with the Jimmy Jane Hello Touch X with Electrostimulation. For tactile foreplay and complete control, the Hello Touch X is an invaluable addition to your play. With your Hello Touch X, you can choose between two sets of interchangeable Pleasure Pods. Select the plain, silicone set for super-quiet, single speed vibrations. 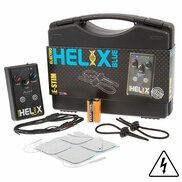 If you’re after something more exciting, the second set offers electrostimulation. With a total of 60 combinations, explore ten power levels and six pulsation modes as you go from a light tingle to intense waves of e-stimulation. Please note that both electrodes must be in contact with the skin for it to work. For enhanced connectivity, apply a little water-based lubricant. 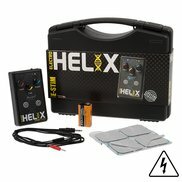 To use the Hello Touch X, connect the wire to the power pack. Then, slip the pack inside the neoprene wrist band to keep everything neatly tucked away and within reach. For ease of use, this thoughtfully designed toy features just three buttons – after all, this experience should only be about pleasure! The silicone straps of the Pleasure Pods are comfortable to wear and stretchy to fit nearly all sized fingers. For optimum control, we suggest using the index and middle finger of your dominant hand. By being fixed to your fingertips, the Hello Touch X is unobtrusive and encourages you to get as close to your partner as normal. The USB rechargeable design lets you easily charge your toy through a computer or USB wall socket. When fully charged, you can enjoy up to 40 minutes of vibrations or three hours of electrostimulation (or a mixture of the two!). The incredible, Hello Touch X can be used for both internal and external stimulation – wherever your fingers can go, this toy will follow! Stimulate your favourite erogenous zones on both him and her for new and exciting couple’s play.